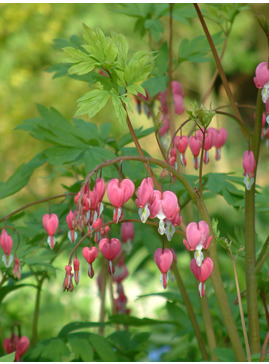 In my garden this grows stronger than L. spectabilis. Above delicately cut green leaves arch green stems bowed with beautiful ivory-white, heart-shaped lockets. A most lovely plant which flowers for weeks in late spring, early summer. 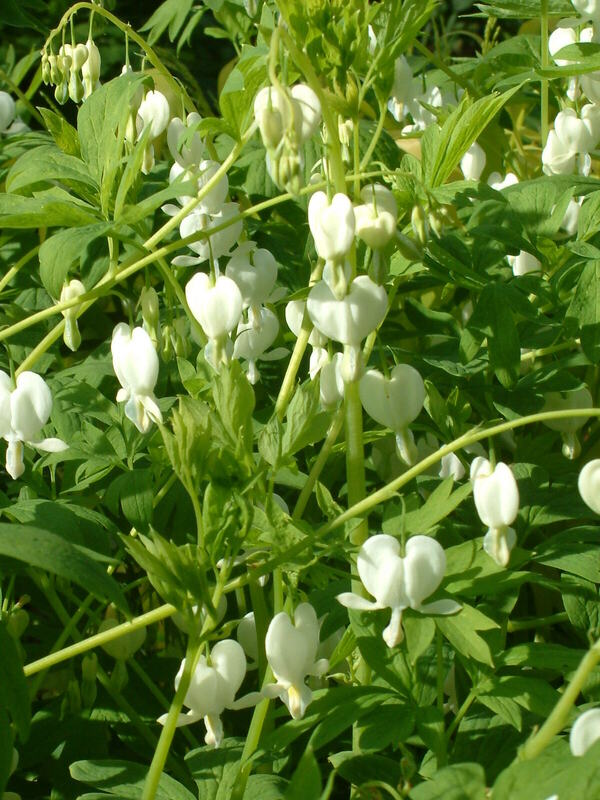 Synonym Dicentra spectabilis 'Alba'.